Paper Crafts by Candace: Dilo En Espanol (Say it in Spanish) Blog Hop! Happy Friday! 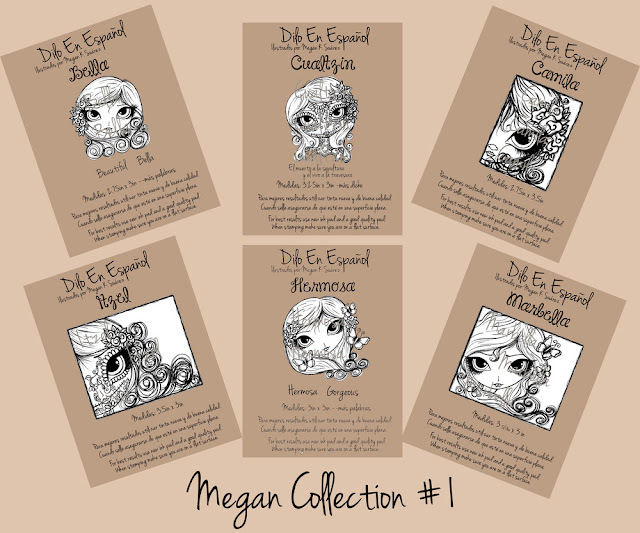 And welcome to the Dilo En Espanol stamp release blog hop! These images are AMAZING!!! If you arrived from my good friend Kim's blog then you are in the right place. If not and you would like to start at the beginning please click here. For this stamp release there are 6 images designed by Megan K Suarez and they are unbelievably amazing! This entire set is only $40!!! Ok now on to my card.. I used the amazing Camila! 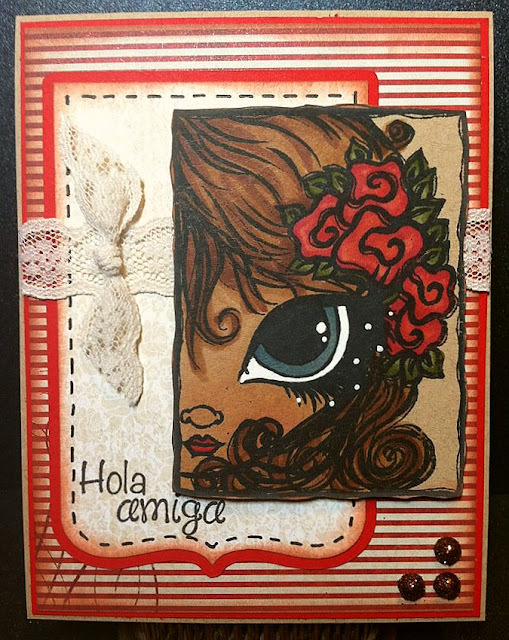 And the sentiment "Hola Amiga" is from the newly released Bella Amistad. I stamped her in Black Memento Ink and colored her with copics. Good news, you can get some memento ink in Abby's store along with your stamps! AND use coupon code RELEASEDAY for 15% off ink! And if that isn't awesome enough, check out these amazing prizes!! Just make sure to follow Dilo en Espanol blog and comment on the blog hop posts! There will be another blog hop tomorrow! Here is the order in case you get lost. Up next is Mandy! Beautiful card Candace! I am enjoying seeing what everyone makes with these FABULOUS images from Megan. WOW, your card is so pretty... love it! Beautiful Work my friend. Awesome Coloring especially on kraft, might have to try that one of these days. I love this card. Great colors and design and I think the coloring on the Kraft paper is wonderful. Great job. Very nice to add to my collection. TFS and a chance to win! Beautiful card Candace, I love the color combo! Awesome! I love the way you made it look like Megan's art by adding the dots by the lashes! this is sooo pretty girl ! love it on the kraft paper !!! Candace beautiful card. Love the color combination. Thanks for share with us! Beautiful card.Love the die cuts and trim. que bella tarjeta, me encanto el diseño y la imagen muy muy linda!!! Just love how you colored the stamp. So sweet. Incluso con colores oscuros estas tarjetas se ven increíbles! Gorgeous card, I love the layout! And your coloring is fabulous! This card is beautiful !!! I love this card Candace!! Very very pretty!! 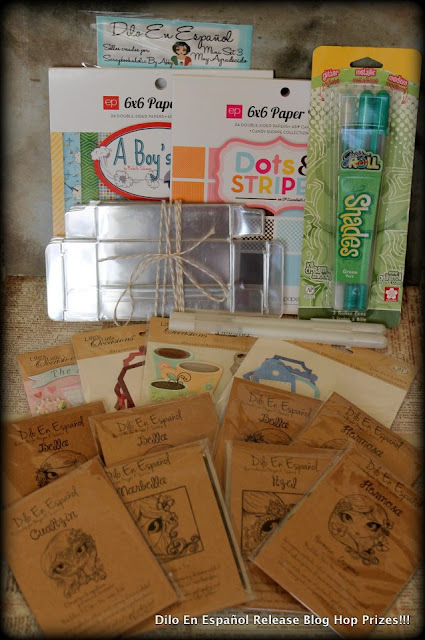 Love the coloring papers and design!!! Great job!!! Ay que lindo todo lo que he visto, me enamoro cada vez más de esta colección y de sus diseños, la tarjeta está divina, muchas felicidades !! wowowow, i love how your coloring your stamp!!!! it's a great work!!! Ooh! The red is just perfect with the browns and greens. Beautiful!